The former governor of Lagos state, and current Minister of Power, Works and Housing, Mr Babatunde Fashola, Saturday said unequivocally that President Muhammadu Buhari of the All Progressives Congress, APC, has no time to write letters like some people do. He said that Buhari is known for his actions, economic delivering plans and competence. Recall that Former president, Olusegun Obasanjo had written different letters to Buhari regarding his administrative modus operandi. In view of that, Fashola at the All Progressives Congress presidential rally in Lagos opined, “Mr President, I have spoken to our people extensively in Yoruba before you arrived. Peter Obi: Nigeria’s new hope as vice president? 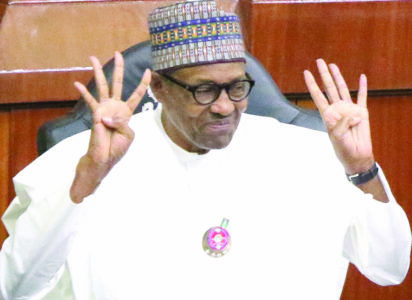 “I have delivered your message and the message of your government and our party to them – that ‘Next Level’ means jobs, from Mambilla, to the road projects, to the factories, roads from Apapa all the way to Oworonshoki…. “I have told them that you don’t have time to write letters; you get the job done. I welcome you, especially because this is my own village.